PS&S was a sponsor of the 16th Annual Cooper Norcross Run the Bridge event on Sunday, November 5th. 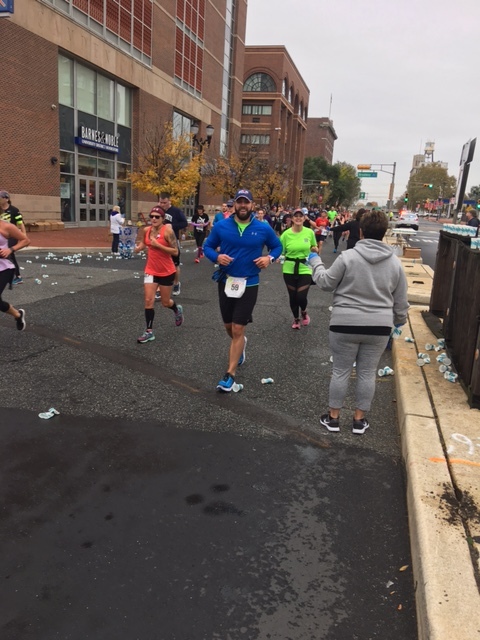 PS&S has supported this event for many years, and with our Delaware Valley / Cherry Hill office in close proximity, PS&S had runners and walkers participate in the event. The event supports the nearby Larc School, a school that serves special needs students throughout the region. PS&S’s Harry Wright, Mark Allen and Mark’s wife Jamie participated in the event. Harry and his daughter Emily participated in the Walk the Bridge event, while Mark and Jamie ran the full 10K. Marge DellaVecchia, her husband Paul and dog Charlotte also participated by handing out water to runners as they completed the first challenge of the run – crossing the Ben Franklin Bridge.